Dr Dana is an Obstetrician & Gynaecologist with a special interest in Infertility and Reproductive Medicine / Endocrinology. 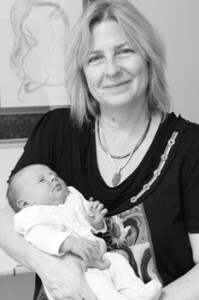 She is a Fellow of the Royal Australian and New Zealand College of Obstetricians and Gynaecologists and a Fellow of the College of Obstetricians and Gynaecologists of South Africa, with a basic medical degree of Medical School, University of Bucharest, Romania. She has been working in her field for over 20 years. Dana lives on the Coast and has two grown-up children. Based in Buderim on the Sunshine Coast, Dr Moisuc provides obstetric and gynaecological care for her patients at the Sunshine Coast Private Hospital Buderim. As a practising Gynaecologist, Dr Moisuc’s services include: – In rooms: consultations and gynaecological procedures. In Hospital: births, minor and major surgery. Dr Moisuc offers infertility assessment and management with IVF procedures serviced through IVF Sunshine Coast. Dr Simona Eremia is a newly minted GP with advanced obstetric skills. She holds an advanced specialist training qualification in O&G (Advanced RANZCOG – Melbourne 2012), additional to her recently achieved Australian fellowship as a general practitioner. 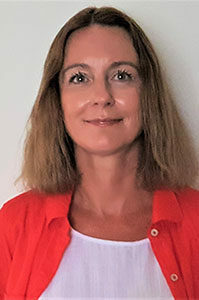 Simona is a dedicated health professional with significant experience in obstetrics and gynaecology and general practice who likes to practise up-to-date, evidence-based medicine. Simona will offer a variety of consultations and procedures, tailored to the particularities and clinical needs of her patients. She is happy to provide women’s health advice and consultations, antenatal and shared care for low-risk pregnancies, management of menopause, minor gynaecological procedures (pap smears/cervical screening tests, implanon insertion and removal, IUD removal) but may also provide more general and/or limited mental health consultations (i.e. perinatal anxiety, depression) if required. Simona is committed to provide ongoing care and support for her patients and to contribute to improving health outcomes in women, couples and their babies.